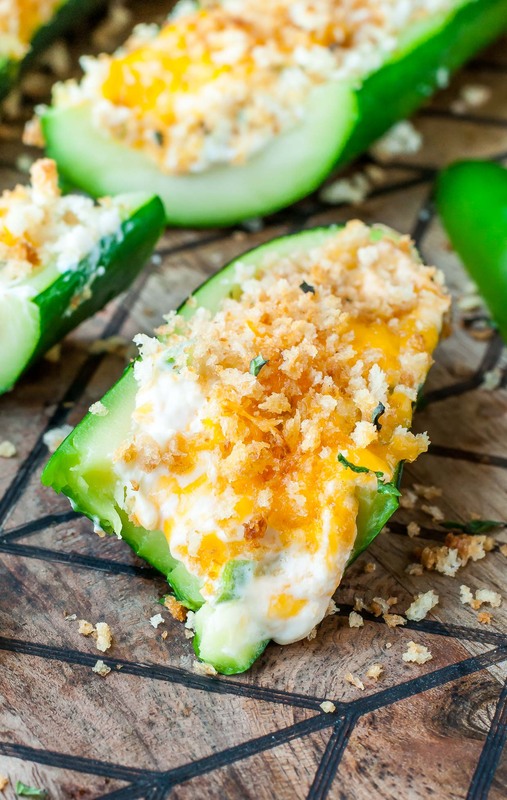 These must-try zucchini appetizers are ready to party! As usual, I’ve got you covered when it comes to all things veggie, and zucchini are easily one of my favorites. Let’s shake up your snack game with these tasty recipes! There’s more to zucchini than casseroles and zoodles. This crazy-versatile veggie can do just about anything! It can transform into pizza crust, veg up your favorite quick-bread recipe, and totally revolutionize lasagna. If you ever find yourself with a packed crisper drawer or a garden full of zucchini, chances are you’ll want to share. What better way than to whip up one of these easy peasy zucchini appetizers for your friend and family to nosh on?! Ain’t no party like a zucchini party! Of course I decided to get weird and stuff my easy, cheesy jalapeño filling into my zukes. I suspected they would be awesome, but I cannot even begin to elaborate on how amazing these were! I’m talking face-planting, finger-licking, plate-licking, party-throwing, table-dancing, cannot-stop-eating AMAZING. You’ve got to try it! Zucchini Bruschetta Bites make a perfect low carb party appetizer. Light, healthy and delicious, they’re packed with tomatoes, herbs, and feta and baked to bubbly perfection! Skip the crust and grab a zucchini! 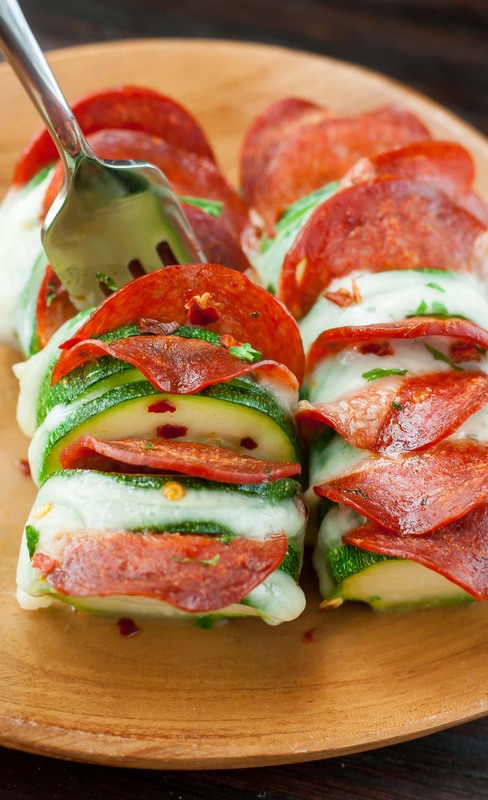 These sliced zucchini pizzas are guaranteed to impress and SO easy to make! 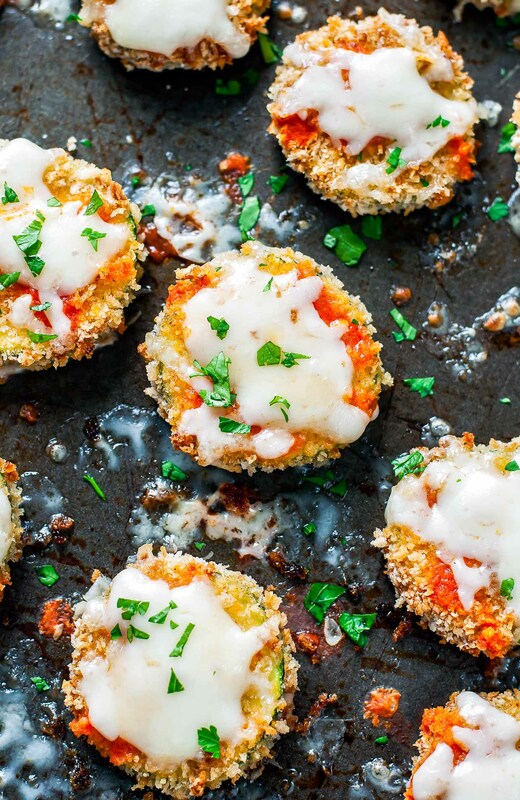 Load them up with cheese and pepperoni or enlist your favorite veggie toppings! 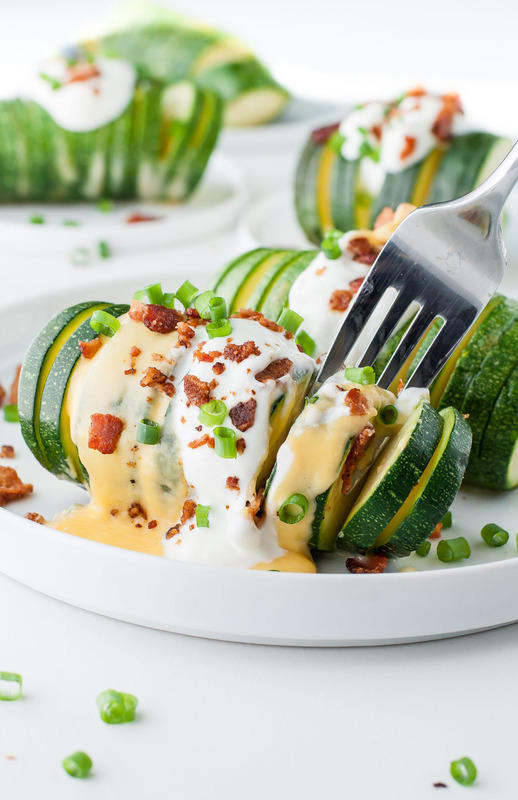 These Cheesy Chipotle Zucchini Boats are easy to make and fun to eat! Soggy zucchini is a thing of the past! Baked to bubbly perfection, this tasty side dish is sure to win over even the pickiest of eaters. Back by popular demand… (aka my friends kept harassing me to make more zucchini chips) I bring you a sassy, spicy twist on my Zucchini Parmesan Crisps. These saucy Baked Buffalo Zucchini Chips let veggies in on the fun of game day snacking! These zucchini pancakes are as light as can be! Shredded zucchini is combined with eggs, garlic, scallions, feta and dill, and then pan-fried in olive oil until crisp on the outside and tender on the inside. Yum! Holy cow these are good, and quickly becoming a reader favorite too! These tasty zucchini bites are easy to make and one of my favorite zucchini appetizers to wow friends with! These Baked Parmesan Zucchini Fries are loaded with flavor and baked to golden perfection! 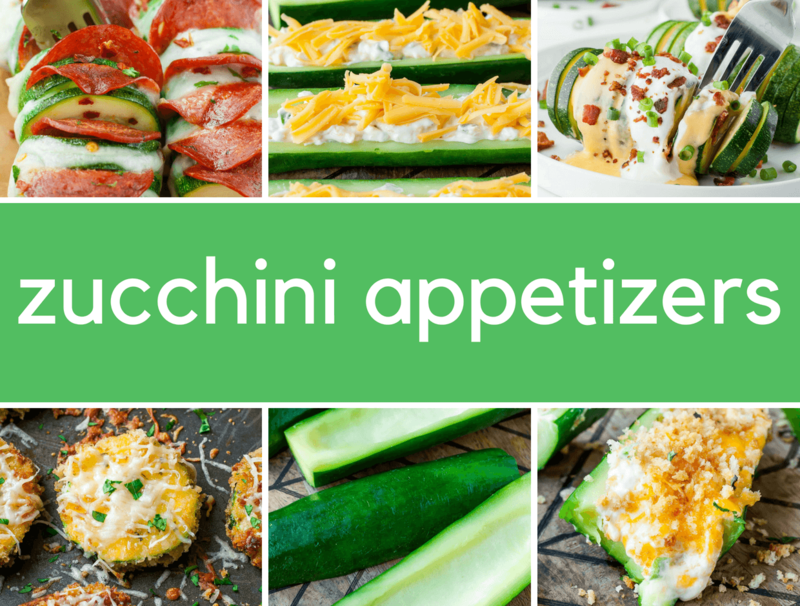 If you get a chance to try these tasty zucchini appetizers, let me know! Leave some love in the comment form below or tag your photos with @peasandcrayons on Instagram so I can happy dance over your creation!